Posted on February 28, 2012 by David R.
From displacing indigenous tribes in Indonesia to uprooting family farms in the U.S., the world’s agriculture giants have given us plenty of reasons to be indignant. 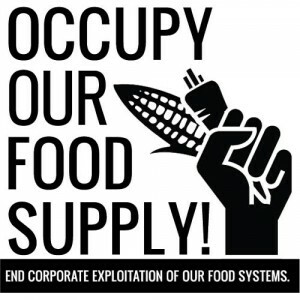 Our food supply is literally controlled by a handful of multinational companies–ten corporations produce half the food in an average grocery store, and four companies are responsible for 90 percent of the global grain trade. Meanwhile, over 90 percent of America’s soybean seeds and 90 percent of our corn seeds are patented by Monsanto. This is a problem because, to put it mildly, corporations like Monsanto and Cargill do not have our best interests at heart (or anywhere else). Under the industrial food system, profits are king, sustainability is a joke, and world hunger is still an unsolved problem. Of course, it’s easy to talk about how the system is broken. The harder question is, how do we fix it? There’s no simple answer, but here are a few real-life ideas for bringing food back to the grassroots. 1. Grow at home. Big Agribusiness has power because we depend on it for our sustenance. That means the simplest way to break free is to declare gastronomic independence. In other words, grow your own food! How much space to you need? Not as much as you might think. In fact, you can even grow a variety of vegetables on a fire escape. How’s that for thinking outside the picket fence? Better yet, work with your neighbors to organize a community garden. In both urban and suburban areas, shared gardens revitalize a community by giving people access to fresh, healthy food. The American Community Garden Association has some resources to get you started. 2. Buy local. Let’s face it: No matter how innovative you get with space and schedule, there are limits to what you can produce yourself. Maybe you don’t have the space for melons, or perhaps you’re not ready for backyard chickens. In that case, take your shopping list to your local farmers’ market. With over 5,000 markets nationwide, chances are there’s one near you. (Find one on Local Harvest.) Many markets aren’t limited to vegetables: You can find eggs, cheese, canned goods, and even meat. You might pay a few cents more, but the money goes straight to independent growers, not faceless corporations. You might also want to look into community shared agriculture (CSA). CSA farms deliver fresh produce every week during the growing season, in return for a subscription fee. Again, Local Harvest is a great place to start looking. 3. Join the guerrilla gardening movement. If your tastes are more radical (pun intended), you might want to check out guerrilla gardening. This is the charmingly subversive tactic of planting flowers and vegetables in disused urban spaces, like empty lots and highway medians–a way of “taking back the land.” The result? Greener cities, more abundant food, and a thought-provoking message. Although often illegal, guerrilla gardening has fascinating potential to renew cities. And, at the very least, it gets people’s attention. Bonus: Add your voice. How do you think we can improve the food system? What steps can we take to implement our vision? Join the conversation, online and in real life–after all, you are part of the grassroots. Posted on December 22, 2011 by David R.
After watching the trailer for The Hobbit, don’t you find yourself longing to live (or at least vacation) in Tolkien’s Middle-Earth, maybe in the Shire, in a cozy house built under a hill? What, you dont? Well, even if you’ve never dreamed of hanging out with elves and dragons, you have to appreciate this “Low Impact Woodland Home” (aka Hobbit house). You’re not looking at a movie set. 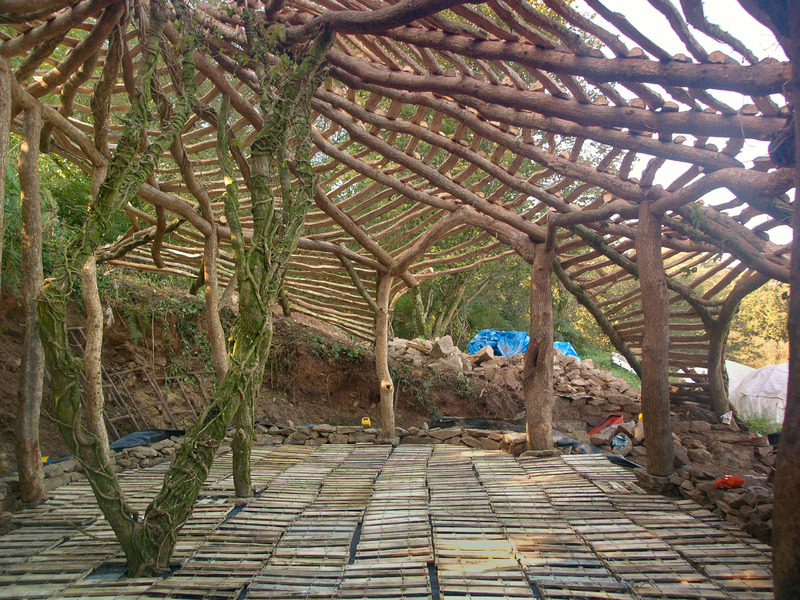 Simon Dale built this eco-friendly house into a hillside in Wales–all for less than $5,000. Just three zeros–that’s not a typo. The house was built with maximum regard for the environment and by reciprocation gives us a unique opportunity to live close to nature….Building from natural materials does away with producers’ profits and the cocktail of carcinogenic poisons that fill most modern buildings. 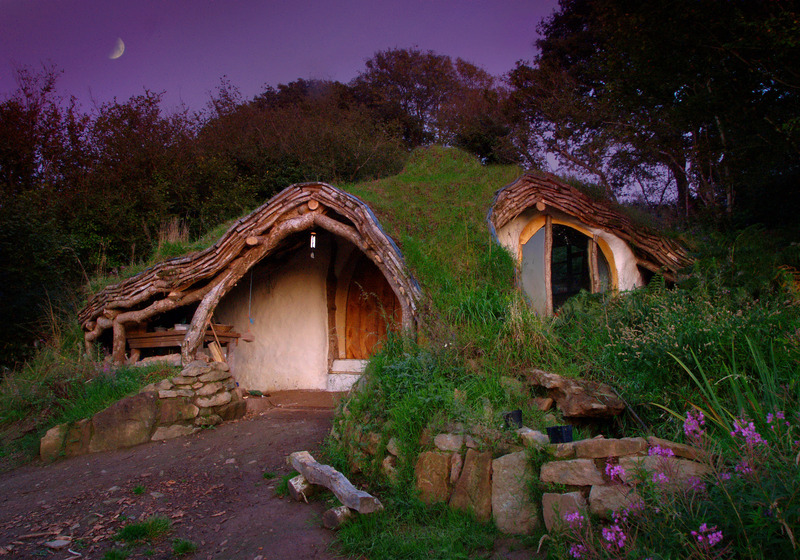 This sustainable approach might not be too far from Tolkien’s vision of the Hobbit’s Shire. While not exactly an environmentalist, the famous author was distrustful of industrialism (he despised automobiles in particular). Tolkien’s Hobbits live in a peaceful, agrarian community, in harmony with nature. Through them, industrialization is presented as a nightmare. The villains of Middle-Earth fell ancient trees and burn them to fuel forges, which are used to build machines and weapons of war. Orcs ravage the forest indiscriminately, and Sauron, the supreme enemy, is infamous for laying waste to once-beautiful lands. In TLotR, these actions are portrayed as purely evil, yet they are not so different from the exploitation of nature by today’s industries. 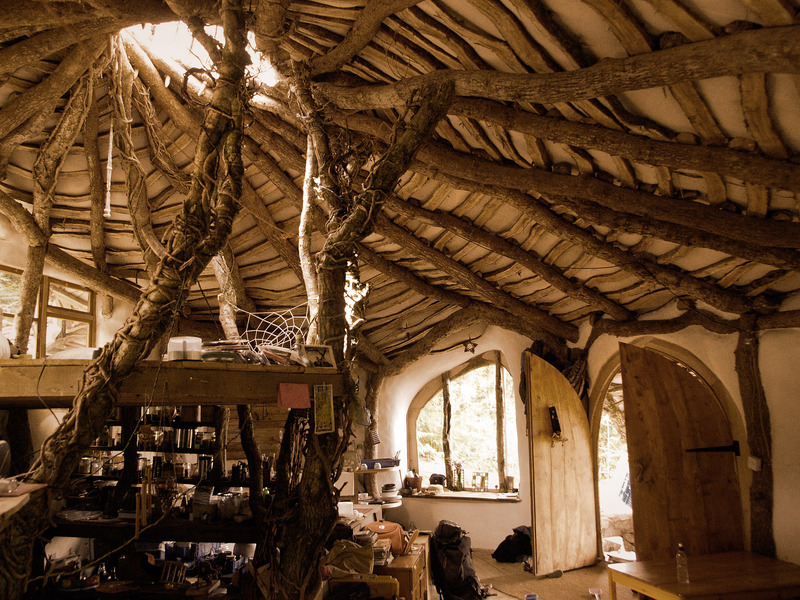 In short, Tolkien would probably approve of the Hobbit house’s philosophy. It’s enlightening to see that sustainable architecture doesn’t require expensive technology or a LEED plaque. Mr. Dale insists that this style of home is relatively easy to build. He even provides Hobbit house plans and construction techniques on his site, in case you’d like to give it a try. And why not? If you’ve ever wanted to create your own eco-friendly home, The Hobbit’s new pop culture status should give you a great excuse. 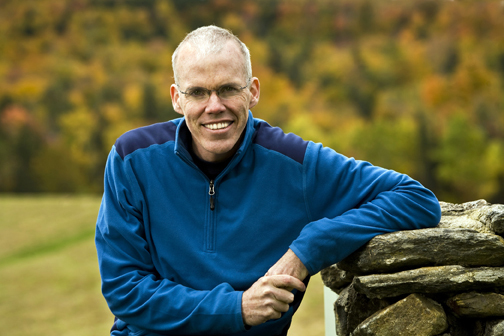 Posted on December 6, 2011 by David R.
Over the last few months, McKibben has been spearheading Tar Sands Action, an effort to halt Canada’s disastrous tar sands production. You probably heard about the Keystone XL pipeline delay–Tar Sands Action and its thousands of activists claimed a major role in this decision. 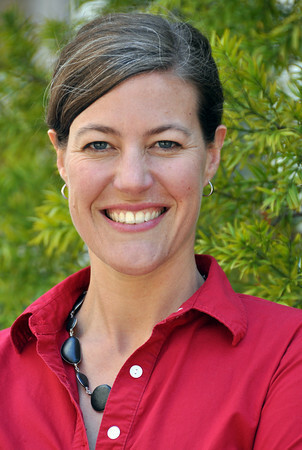 TreeHugger once compared Rainforest Action Network to a pack of jackals: “Its campaigners jump on a target’s back and won’t get off until it submits.” Led by Rebecca Tarbotton, RAN is targeting heavyweight industry players like Bank of America, Chevron, and Cargill. The San Francisco-based nonprofit has a reputation for hardline stances and savvy market activism. Case in point: Last year, RAN worked with The Yes Men and Amazon Watch to hijack Chevron’s greenwashing “We Agree” campaign, complete with fake press releases and Web sites. The campaign–the fake one, that is–went viral and was picked up by major news outlets. In the end, the incident made Ad Age‘s list of the year’s biggest marketing fiascos, highlighting Chevron’s abysmal social and environmental record along the way. 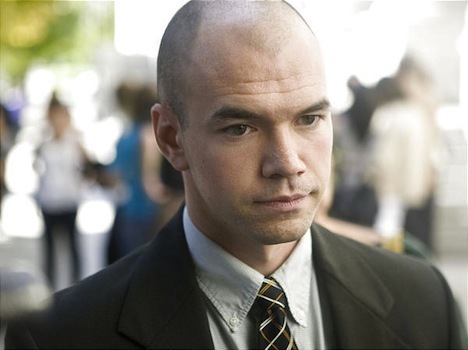 Tim DeChristopher’s interference with a federal oil and gas land auction earned him a heroic status in some branches of environmental movement–and a two-year prison sentence. When the government wanted him to quietly disappear, he ramped up his efforts to inspire further direct action against fossil fuel industries. This polarizing strategy probably sealed his fate, but it also drew a lot of attention to his cause. DeChristopher also seems to understand the power of branding. When curious onlookers tuned into his trial, they might have expected a post-hippie with dreads and hemp sandals. What they saw was a clean-cut gentleman in a fitted suit. In his speech at the sentencing DeChristopher made an eloquent defense of civil disobedience. Channeling Thoreau at times, he made it clear that, no matter how he was punished, his activism would continue. These days, green blogs are nothing special. Besides the big names like Inhabitat and Grist, scores of other eco-themed sites have sprouted across the Web. But TreeHugger was a pioneer of sustainability blogging, and it remains one of the most popular. 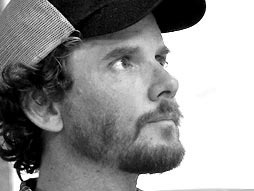 Graham Hill is the entrepreneur behind TreeHugger. Trained in architecture and industrial design, Hill has started a number of creative ventures, including a line of ceramic Greek cups. After TreeHugger was sold to Discovery for $10 million, he began promoting sustainability through other avenues. His latest project is Life Edited, a contest to find the most innovative design for a 420-square foot NYC apartment. The goal? To show how we can “save money, radically reduce our environmental impact, and have a freer, less complicated life” by owning less stuff and living in smaller spaces. You can find Graham Hill’s TED presentations here. …everything around you that you call life was made up by people that were no smarter than you. And you can change it, you can influence it, you can build your own things that other people can use. Yes, there’s a difference between building computers and organizing social change. But the point is that we are all qualified to make a difference. This list is meant to be a starting point, not a conclusion. Please tell us about your twenty-first century environmental heroes in the comments. Posted on October 21, 2011 by David R.
With Halloween around the corner, there are a million and one advertisements for costumes, candy, and decorations. If you’re making a conscious effort to go green, all the consumerism might be a bit discouraging. But it turns out you can enjoy the holiday without ignoring your eco-instincts. In this guest post, Chris Keenan offers some handy green tips for Halloween. Instead of investing a lot of money in a throwaway costume, why not make your own costume? If you don’t have the sewing prowess for the task, thrift stores are your friend. And places such as Goodwill and the Salvation Army often offer used quality costumes at very affordable prices. Another option is participating in a costume swap, where you can meet similar-minded people and maybe snag a unique outfit. When it comes to candy, the aisles of Snickers and Reese’s might seem alluring, but have you considered giving out healthier treats? If you shop at Trader Joe’s or Whole Foods, you’ll be sure to find organic treats that kids can still enjoy (granola bars always work!). If you’d prefer not to hand out candy altogether, organic markets usually offer small trinkets that are made by environmentally conscious organizations. Looking for earth-friendly ways to adorn your home? Sustainable decorating isn’t as tricky as you might think. While stores offer plastic skeletons and fake cobwebs galore, you can find plenty of inspiration for green decorating at your local farmer’s market. Keep things spooky by carving pumpkins (and making pumpkin snacks), or give your home a friendly festive touch with the help of cornhusks, bales of hay, and gourds. For more Halloween accessories, try stopping at the thrift stores. You could even decorate your garage door with Halloween fabrics that you have lying around your house. Also, be sure to store your decorations safely so they can be re-used next year. Want to enjoy an autumn feast complete with candlelight? Remember that traditional wax candles can emit toxic chemicals like benzene–soy candles are healthier and longer-lasting. When your kids go trick-or-treating, don’t forget to arm them with reusable canvas bags like the ones you might take to the grocery store. Plastic pumpkins are unnecessary and are a waste of space since they’re often only used once a year. Finally, consider reverse trick-or-treating, a new project being promoted by Global Exchange. The idea is for children to hand out fair trade chocolates and cards to adults to raise awareness about the environment–visit the site for more information. I hope these tips will help you stay green this Halloween! Do you have any more tips on staying eco-friendly this year? Let us know in the comments below! Chris Keenan is a green and general blog writer. He writes for many sites including Precision Garage Door. Chris also maintains a personal house and garden blog. Photo credit: Sister72, some rights reserved. Posted on October 16, 2011 by David R.
What’s nutritious, possibly dangerous, and illegal in all but 25 states? The answer is raw milk, and it’s at the heart of the grassroots food movement and a regulatory controversy. In technical terms, “raw” milk is unpasteurized–it hasn’t been heated to kill pathogens. That might sound crazy (and maybe it is), but the issue has two sides. Yes, pasteurization kills bacteria that can cause tuberculosis, salmonella, and other nasty diseases. However, fans of raw milk claim that the heating process also wipes out beneficial proteins and enzymes that promote digestive health and strengthen the immune system. Because raw milk farmers don’t rely on pasteurization to prepare the product for market, all the work goes into tending the land to create the perfect ecosystem for the production of quality milk. The end result is healthy pastures (as a source of nourishment) and sustainable herd sizes — as many cows as the land can take. Right now, raw milk is hardly a popular product. Even in California, only three percent of the population consumes it. And the few raw milk farms that do operate fight a constant battle with regulators. For example, Organic Pastures Dairy Co., California’s largest raw milk producer, found its products recalled and its business shut down after suspicions of E. Coli contamination arose. Food safety inspectors descended on the farm, running test after test. Organic Pastures insists that its facility came out clean; according to regulators, however, the answer is not that simple. So where does the green movement stand in this debate? Usually, greens and progressives campaign for tighter regulations, but this time the issue isn’t clear-cut. We can’t fault food safety regulators for worrying about food safety. That’s their job. Still, it is unfair to target a fringe product like raw milk when mainstream industrial farms have plenty of problems. After all, contamination in big ag is far from unheard-of. The answer, of course, is political influence. Big ag has the same advantage over small, sustainable farms as big oil and coal have over renewables startups. The raw dairy debate also takes a libertarian bent. If consumers think the health trade-offs are worth the risks, should they have the right to buy raw milk? Or is it the government’s responsibility to keep potentially dangerous products off the shelves? This is a serious question, and it’s one we must consider, since it reaches across the political spectrum, to the core of our values. What do you think? Would you (or do you) drink raw milk? Should dairies be allowed to produce and sell it, if consumers are willing to buy it? This post was written for Blog Action Day 2011, part of an annual event that unites the world’s bloggers in posting about the same issue on the same day. For more info visit http://www.BlogActionDay.org and follow #BAD11 on Twitter. Get the latest in green delivered right to your inbox.